EVA’s expertise can be tapped via project specific consulting engagements and other customized subscription services. 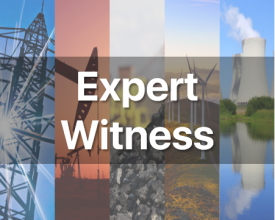 These consulting services are relied on throughout the energy and environmental industries for accurate and insightful short and long-term market, financial, and price forecasts. 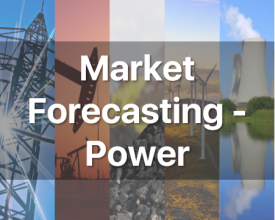 Regional power market forecasts, including 8760 electricity prices. Power plant studies for numerous coal, gas, renewable, hydro and nuclear facilities. Power plant financing and acquisition and disposition studies. Regulated utility audits and related services on behalf of regulators, utilities and third party intervenors. 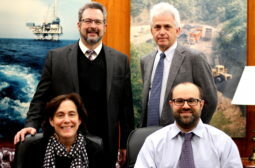 EVA has been involved in rate hearings before FERC and state commissions in Arizona, California, Delaware, Florida, Georgia, Indiana, Louisiana, Maryland, New Jersey, Ohio, Texas, Utah, West Virginia, Wisconsin, and Wyoming, as well as, for before agencies such as the Senate Public Works Committee, Bonneville Power Administration, and the Governors of Washington and Oregon. 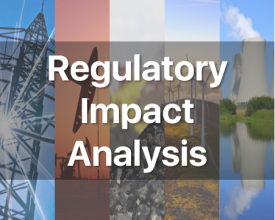 Strategic planning and financial analyses for (a) existing and new power industry participants; and (b) generation technology evaluations covering mature and emerging technologies, which involve either greenfield or repowering applications. 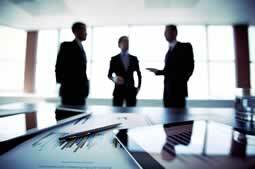 Assistance with power purchase negotiation and contracting. Authored over 40 industry publications for a number of trade groups and individual firms concerning nearly every facet of the natural gas industry, including (1) each of the consuming sectors; (2) every segment of U.S. gas supply portfolio; (3) industry infrastructure (e.g., pipelines, compressors, processing plants, storage, etc. ); (4) domestic and global gas prices; (5) basis differentials; (6) trading; and (7) a variety of specialized topics. Strategic and market assessments for the producing, consuming, pipeline, storage, gas processing and drilling rig segments of the industry. 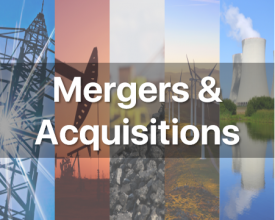 Lead analyst for acquisition analyses for producing properties, interstate and intrastate pipelines (gas and oil), gas processing facilities and oil and petroleum product terminals. Assessments of LNG capacity and markets (domestic and global), specific terminals and project financing. 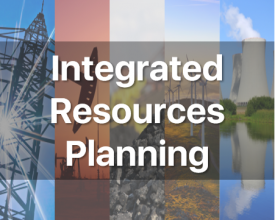 Project specific infrastructure assessments, including Phase I engineering for pipelines, new storage facilities, and pump storage facilities. 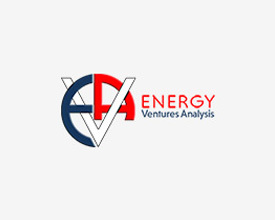 Financial and capital expenditure analysis for E&P industry, specific companies, play and region specific well economics, pipelines, power plants and storage projects. Hydraulic fracturing assessments, including evolving technologies, required services, sources of materials (proppants) and vendors. Gas procurement, contract negotiation and infrastructure requirements for industrial and power plant facilities. In addition to multi-client price forecasts, a series of client specific delivered price forecasts for natural gas and alternative fuels (distillate, jet/kerosene and resid). Basis differential assessments for most of the pricing points in the U.S. Regional assessments of the gas-electric interface. Evaluation of market proposals of prospective coal acquisitions, including operating mines and undeveloped reserves. 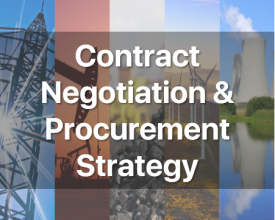 Coal procurement work including development of a procurement strategy, bid preparation and solicitation, contract negotiation, selecting escalators, etc. 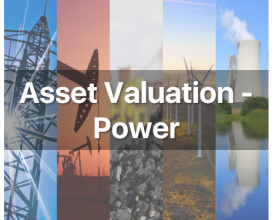 Valuation of coal companies and reserves. Financial analyses of investments in new mines, alternative mine plans, special projects, contract renegotiation alternatives, new technology, etc. Strategic planning for both suppliers and consumers. Competitor analyses: capacity, productivity, production costs, reserves, etc. Coal turnaround management and/or liquidations, including assuming coal company CEO and administrative responsibility. Wind project evaluations: Environmental and economic. Solar project evaluations, including the competitiveness of PV and solar thermal technologies and project development and funding applications. Biomass project evaluations, including biomass fuel forecasts, cellulosic biofuel market assumptions and others. Evaluations of proposed renewable portfolio standards. 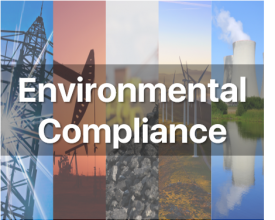 Assessments of future environmental policies, including economic and employment impacts of environmental policies. Analysis of greenhouse gas (GHG) emission offset supply and cost. Public utility commission (PUC) audits.